A discretionary trust is a type of trust in which the trustee can determine which beneficiaries receive income or entitlements and also the trustee can determine the amount that the beneficiaries each receive (i.e. the trustee has complete ‘discretion’ as to who and how much!). The terms of the trust deed determine how the trustee allocates income and entitlements. Apart from the trustee and the beneficiary, there are two other important roles in the creation and management of a trust. The first is the settlor. The settlor is the person who creates the trust. This is done by moving (settling) assets into a trust. It can be a nominal amount and the rest of the assets can be moved into the trust later. The settlor should not be a beneficiary of the trust. They are often an accountant or solicitor. The settlor signs the trust deed and after the trust is created usually has no further involvement with the trust. Is that making sense? We can give you a good analogy (well we think it’s good). The wine glasses represent the beneficiaries of the trust, i.e. they receive the assets of the trust. The appointor can appoint a new carafe pourer (i.e. the appointor can appoint a new trustee who controls the assets of the trust). Owners and directors of companies create discretionary trusts for a few reasons. The first is that company owners and directors may want to shield themselves from high tax rates. For example distributing the income from a trust to lower-income family members can reduce the overall income tax a family needs to pay the tax office. The owner of a start-up might want to consider creating a discretionary trust to reduce the amount of capital gains tax they would pay if they make a sudden windfall by selling off their company for a lot of money. The second reason for creating a discretionary trust is that directors of companies are sometimes sued. Company directors can protect their assets, such as their shares in the company by placing them in a discretionary trust. The third reason is that assets in a trust are generally shielded from creditors claims. This is an important consideration if a company becomes insolvent (goes bust). Select a trustee. They can be an individual or a private company (does not have publicly tradeable shares). The advantage of creating a company to be the trustee is that it limits liability to any individual. Settle the trust. The settlor moves assets into the trust and signs the trust deed. Trustees sign the trust deed. Pay stamp duty (state dependent). 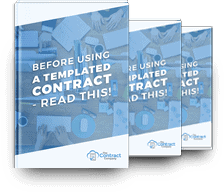 Get in touch with The Contract Company to make sure all of your legal contracts are spot on.